Klara Valentova has been exploring mapping of data. Note: In the following maps, darker colour and higher layer signify higher income for the specific area. Map 1 shows the annual net income before housing costs in the UK in 2016. 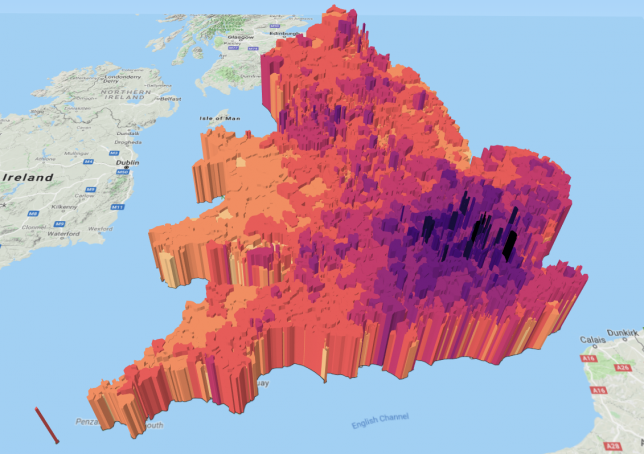 The highest income is distributed in the South East, notably around London with peaks in central London such as Westminster or Chelsea. However, income in nearly all areas in Wales is lower than in most areas in England. Nonetheless, when looking at Map 2, displaying annual net income after housing costs, suddenly the huge differences between the areas have vanished. The highest incomes are still distributed in the South East, but we can see that in big cities in the North of England, the incomes are almost as high as down south. The peaks in the London area persist but there are more of them now, and they are mostly around London rather than in the city centre as it used to be before accounting for housing costs. This can be explained by the incredibly expensive living costs inside London. 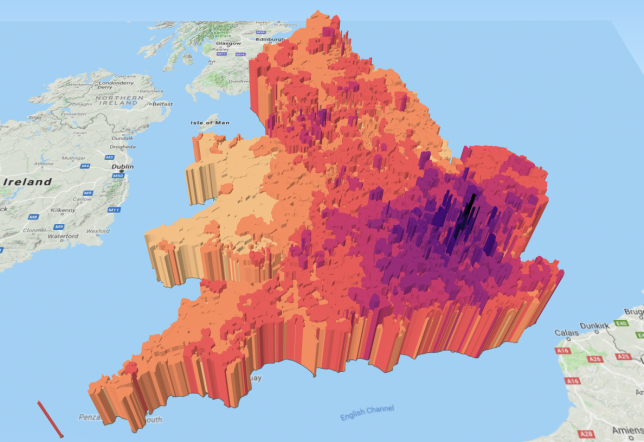 The data for both of the maps are available at: https://www.ons.gov.uk/employmentandlabourmarket/peopleinwork/earningsandworkinghours/datasets/smallareaincomeestimatesformiddlelayersuperoutputareasenglandandwales. The files were uploaded to QGIS, together with boundary data for MSOA, available from: https://borders.ukdataservice.ac.uk/. These two layers were then joined, and the map coloured by the income level. The map was subsequently turned into 3D with the height of the areas corresponding to the income level to enhance the differences even more. You can play with the 3D maps by following the links below. Please note that the maps can take some time to load. We are a group of data specialists, developers, visualisers, analysts, data impact specialists and communicators at the UK Data Service.